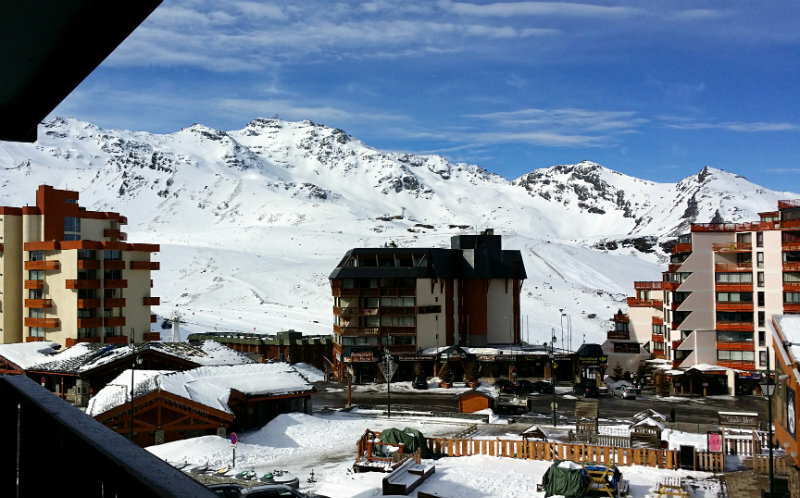 It was April when I saw the Alps for the first time, in Val Thorens, France. 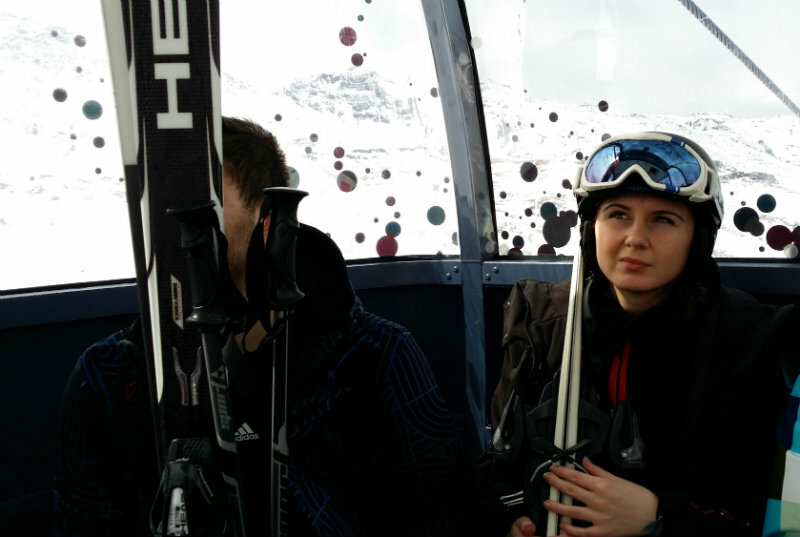 Also, it was the first time skiing or better say, learning the basics. 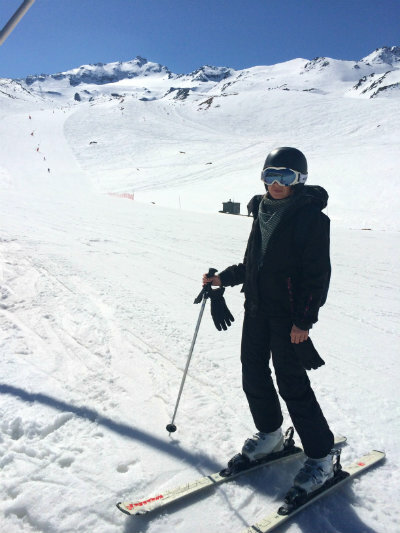 Never ever before had I put the boots on, so imagine I didn’t know how to ski, to snowplow or just to stay up with the ski on. I was pretty excited and in 4 days I was trying the red slopes. I could have taken beginner lessons in Romania, cause one may say “Why’d you need so many km and ski runs?”. But I don’t regret a second. 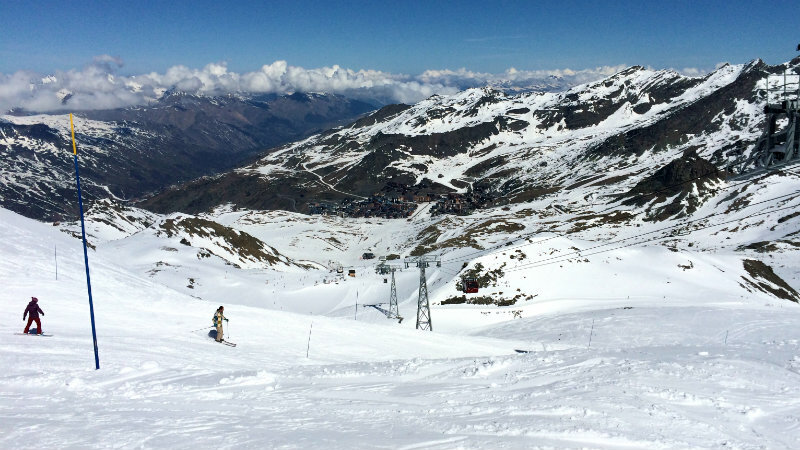 Val Thorens is the highest mountain resort in Europe, so snow is guaranteed from late November to late April. 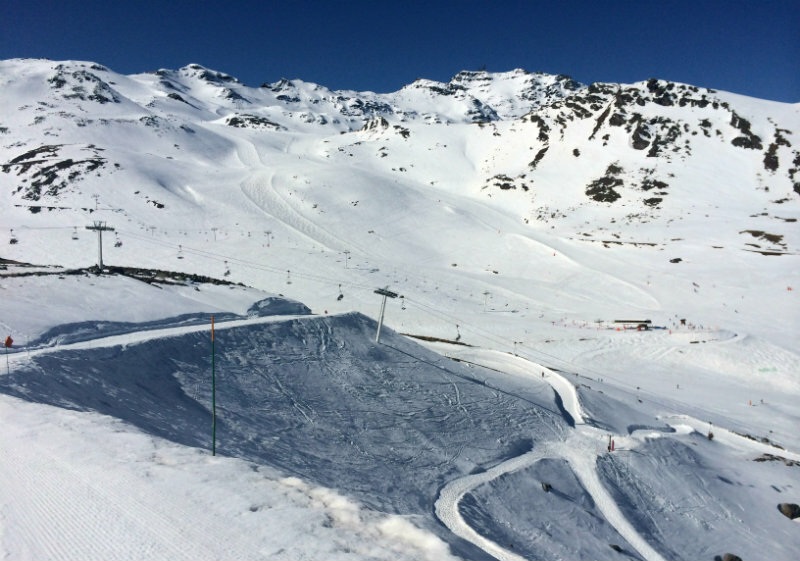 If you’re an expert over 600 km of linked piste slopes await for you in the entire ski domain, in Les 3 Vallees. Otherwise, you can stick with Val Thorens’ 150 km. Nearest airports are Chambéry, Geneva, Lyon. 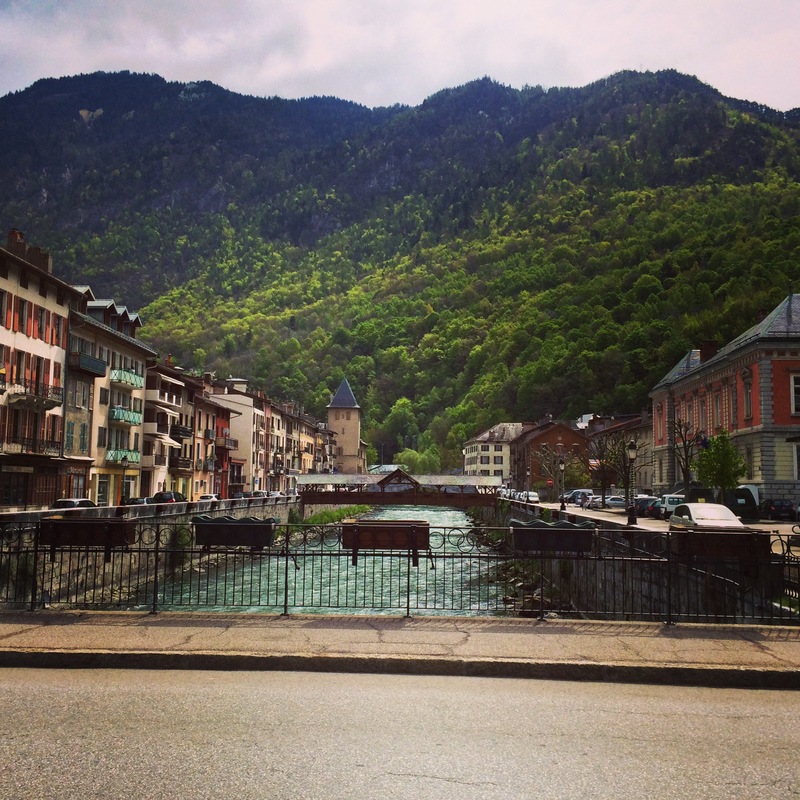 I had a flight through Geneva and then I took the train to France, to Moûtiers village. 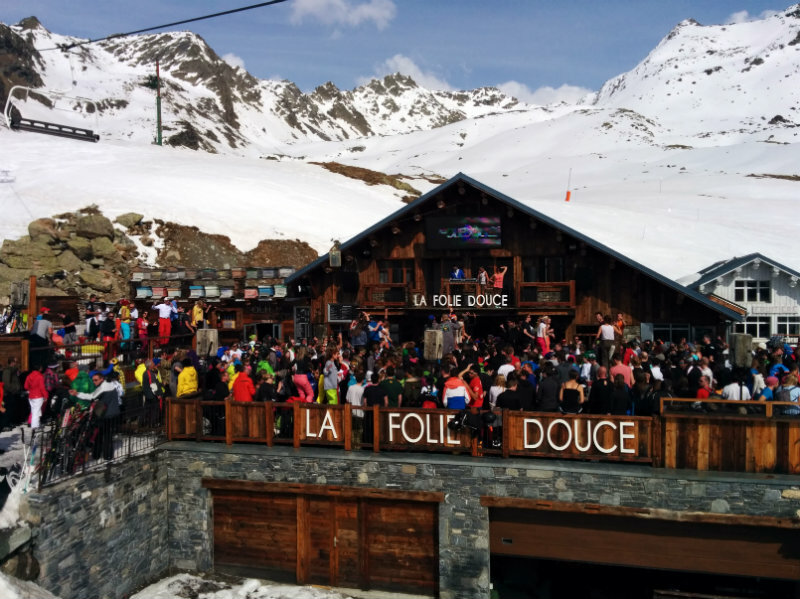 From here, shuttle buses run pretty often to Val Thorens resort. Quite a trip, a car from Geneva would have been more comfortable. 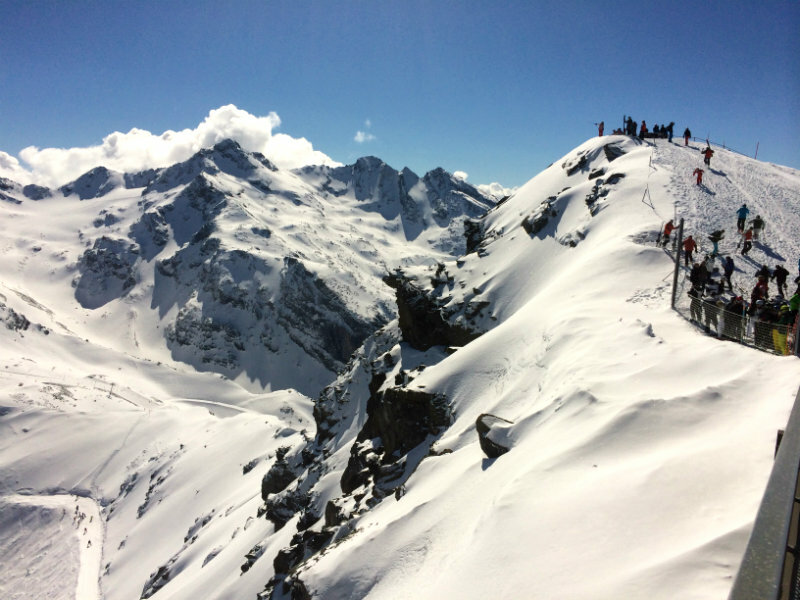 Ski pass for a week (Val Thorens only) is 250 euro. 150 km of runs: 8 black, 30 red, 29 blue, 11 green (the green code is for the easiest runs, you’ll probably find it only in France). Should I stay or should I go up? We booked an apartment, more like a studio in the heart of the resort. In this area, you find a lot of hotels and apartments for groups. While not very fancy, the mountain cottage style and the people make it pretty enjoyable. carrefour market is perfect for a budget trip. I loved it for the fresh atmosphere. For those who can stay up on their feet later in the evenings, you have lots of parties and fun activities. Ok, I suppose I loved it also due to the fact that it was my first time skiing and my first time at this altitude – up to 3.000m! 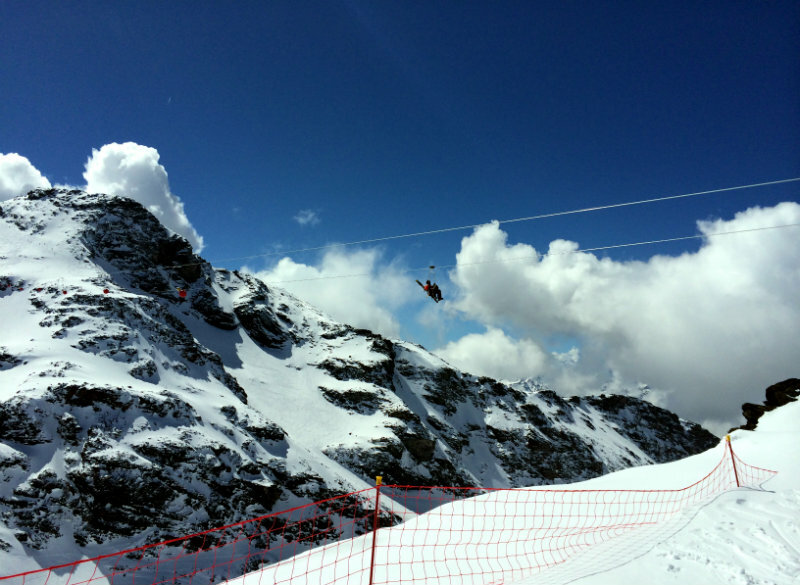 I was there on April 20 and mostly all ski runs were open and in a good condition. 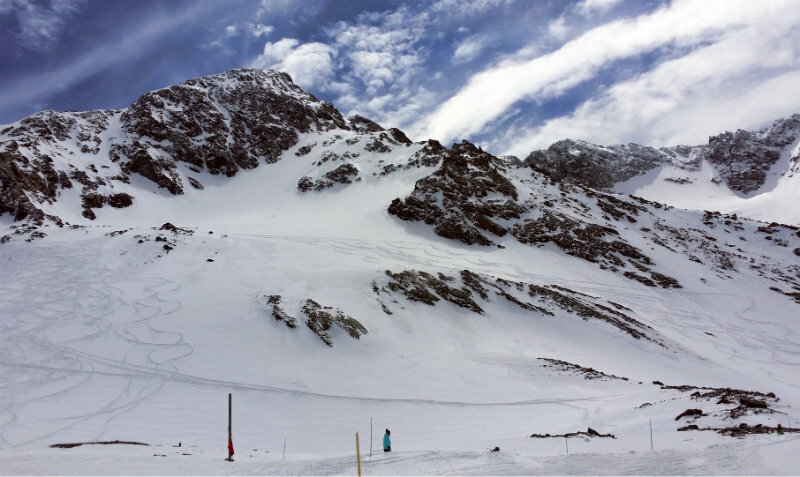 The fact that you can ski so early or late in the season is a big plus. And don’t forget the prices are lower when the season ends.